Our curriculum is full of “living” books, “living” things, and “living” ideas that meet Pennsylvania’s state standards. As research demonstrates, books and other learning tools and activities must be full of concepts that intrigue, delight, question, and enlighten (or “living). Thus, we offer a rigorous and challenging curriculum using whole books that are narrative and informational, rather than rely solely on textbooks. Students read, narrate and converse about living ideas that promote their real thinking. In math, we emphasize real life problems and understanding mathematical concepts so that memorized math facts, equations and formulas are meaningful and understood. Our curriculum is also broad. Our students experience what Charlotte Mason called a banquet of learning. Students deeply study and experience the sciences, math, English, history, philosophy as well as the visual arts, music, Spanish, Latin, Shakespeare, and a variety of School Sports as a regular part of their learning, starting in Kindergarten and continuing through graduation. Our curriculum and its implementation are monitored by both the Charlotte Mason Institute and Pennsylvania’s department of education. The Charlotte Mason Institute is a nonprofit organization that brings together relational educators from across the globe to accredit schools, train teachers, and tailor curriculum for public, private, and home schools. The Institute’s public charter branch offers a non-sectarian curriculum based on the teachings and philosophy of Charlotte Mason and meets all Pennsylvania Department of Education’s current state standards. Research shows that students need a Balanced Literacy Approach to learn to read because it balances phonics instruction with whole language instruction. Gillingham’s balanced literacy approach incorporates living books, small guided reading groups, instructional level and independent reading level practice, teacher and student read alouds across the curriculum, writing across the curriculum, writing workshops, word study and Mason’s dictation, copywork and recitation. Charlotte Mason figured out that the person’s mind needs “food” just like the person’s body needs food. Mason once opined that feeding dry facts to the mind is like feeding sawdust to the body. The food for the mind is living and meaningful, so we feed the mind with living books and living things that are full of nutrients - living ideas. A living book is chock full of ideas that ignite the imagination, pique the soul, and open up the world. Unlike dry, fact filled textbooks and dry lectures, living books are written by someone who loves the subject and knows the subject well. Emotions and the imagination are engaged, so persons find it easy, not laborious, to remember events and important facts because they matter - they have meaning when mixed with the ideas. Thus, we read the best, well-written books that we can find in all subjects. Instead of PowerPoint lectures, students read a living book, narrate it and question it, and then they are ready to join with the author in the “Grand Conversation” about the ideas. Wonderful dialogue and synthesis ensue, and then we see THINKING taking place and becoming a habit for life. To encourage our students to read the best books and to fill their minds with the best ideas, we created a Good Reads List. Students read nightly from this list or from books found in our classroom libraries. We also offer alternative and dynamic practices in our mathematics programs. Gillingham’s mathematics curricula emphasize the understanding of math concepts so that memorization of facts, equations and formulas is meaningful and understood. Students not only learn the core curriculum required by PA State Standards, but they also learn to truly understand math and its applications in real life. Math becomes “relevant and compelling.” Students can strategically engage with math in college courses, in the trades, and in day to day situations. In our lower school, we follow the Singapore Primary Mathematics program in conjunction with Right Start Math. In the middle grades (6th-8th), we use the integrated program, Connected Mathematics Project. In the upper school, we offer our own specially designed Algebra I course that meets the requirements of the Keystone Algebra exam, and we offer our students a specially designed use of the innovative Interactive Mathematics Program. We offer an interesting, delightful science program that grows a sense of “awe” about our world. Students take nature walks, observe and paint specimens with the drybrush watercolor technique, experiment with FOSS materials, practice careful illustrated copywork, read living science books,, and study outside the classroom at museums, labs and the great outdoors. The living books and living things engage and ignite the curious scientist in all children of all ages! Do you know a Monet when you see it? Do you recognize Tchaikovsky when you hear him? Do you know how to compose a melody? Do you know “fa?” Do you know a Shakespearean insult? Do you know how to draw a circle freehand? Our students do! Every year every class observes the works of 3 artists and 3 composers. In 13 years, that’s a total of 39 painters and 39 composers! ALL students learn to sing and use Solfege through the Kodaly approach, complete drybrush watercolors in nature journals, act Shakespeare, and play an instrument such as the piano, strings, guitar, winds, brass, drums and other band/orchestral instruments. 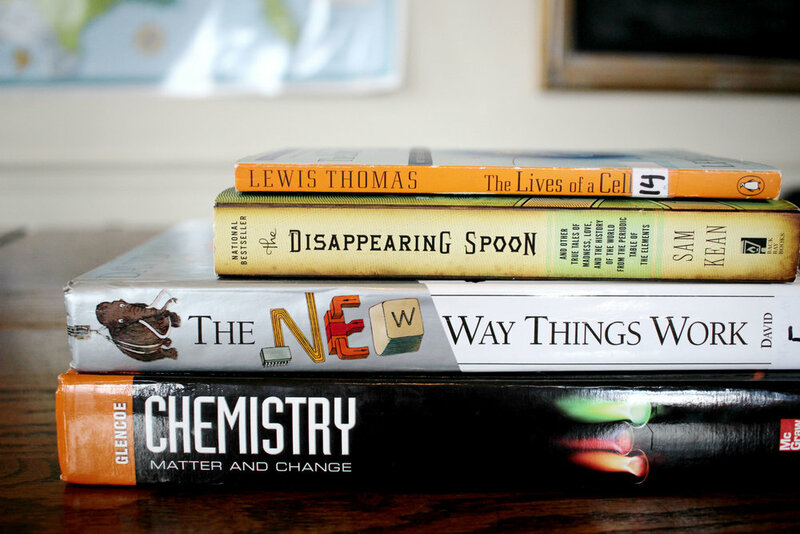 THESE ARE NOT ELECTIVES. All students must take instrument lessons. All students must read Shakespeare. All students take art classes every year. Since Gillingham’s goal is to help parents raise the WHOLE child, not just the brain of the child, we teach our students physical activities and games as well has HOW to participate as a citizen in those games. How do you win with dignity and grace? How do you lose with dignity and grace? How do you treat those you compete against? How do you play with integrity and with power? How do you pull your weight on a team? How do you play unselfishly for the team? These questions must be faced head on by all of our students, not just the “athletic” ones. All need to be challenged to play sports, to compete and to be a team player. In the upper school, all students are required to play a competitive sport for one season so that they learn how to handle the pressure, how to be resilient when things get tough, how to be a team player, and how to win and lose. Since everyone must compete, we currently offer traditional and non-traditional sports, including archery and fencing. Click here to view a full list of athletics and other curricular clubs. Our students go on a lot of field studies, and they are often complimented! The guides are amazed at their polite, engaged behaviors, their questions, and their ability to talk about the exhibits and the ideas. They are actually surprised by such attentive, thoughtful students. We go out of the schoolhouse because the world is a school! We go to other places because we want our students to be proud of who they are, from whence they come, and for what they’ll do for this community and beyond! A person can’t be proud of themselves and their people and home if they don’t have positive relationships. We introduce our students to this community, Pennsylvania and US history through Field Studies and Community Member Visits. Play is essential. Play is natural. Play is powerful. When children are allowed to self-initiate their activities, they GROW GROW GROW academically, emotionally, socially and physically. Executive Function Skills: At the heart of teaching children and developing their executive functions is play (Leong and Bodrova). The “executive functions” include a collection of brain processes that are responsible for planning, cognitive flexibility, abstract thinking, rule acquisition, initiating appropriate actions, inhibiting inappropriate actions, and selecting relevant sensory information. Empathy and Living Well: Roots of empathy and other necessary skills and principles to live well begin in play, and play meets children’s need for physical activity for healthy bodies. Language Development: Play encourages the use of language, another primary tool of learning for the young child. Expressive vocabulary is crucial for vocabulary development and for comprehension development. Children need opportunities to not just receive information, but for crucial language development to occur. Children need plenty of opportunities to express their language. Sensory Development: Through the use of the senses (see, hear, touch, etc), children gain real knowledge. In order to accomplish this children need hours of self initiated activity. Self-Education: Initiative and self-direction are important parts of a Relational learning model. Children, through play, learn to direct themselves toward the good of themselves and their fellow students. Learning to control the self and initiate kindness and sensitivity towards fellow human beings is crucial for the well-being of not only the child but for the community. A Fed Mind: All children have a desire to know which is as important to feed as their physical bodies. Their desire to know must be fed through play, outdoor life, and many opportunities to learn through experience with people and objects. Their natural curiosity is nourished on things at this early age, and one of the best places for real knowledge is outdoors. The Outdoors: The outdoors is the primary place where children get real knowledge. It is the source of enormous background knowledge needed for subsequent learning in a traditional school setting. Masterly Inactivity: Children need much independent time to learn on their own. Too much adult influence can have a “devitalizing” effect on the child. Children, according to David Elkind, diefy adults. Charlotte Mason in speaking about the undo influence of a teacher said, “we all know how we lose vigor and individuality under this sort of influence (p 187). Therefore, children need much independent time under the watchful eye of an adult. Scheduled Free Play and Outdoor Lunch: Teachers eat with their students outside and then let them play! K-2nd graders get a lot of play in the afternoon after a full morning of learning and doing.